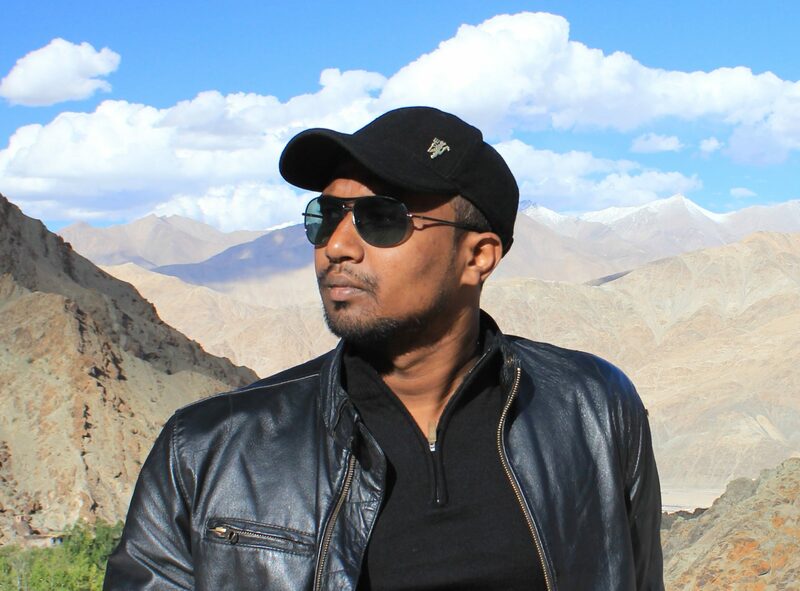 It was a cold night when I silently closed the doors of my house. My roommates with whom I shared my accommodation were dead asleep after the heavy lunch we had together. Nobody twitched a muscle to the sound of the cracking door closing by. I remember it was raining throughout the day and was still drizzling ,when I came out of my house. I had to shade my head with my backpack ,just to keep myself dry. Jumping a few mud puddles and circumventing an overflowing drain hole I reached my society’s exit gate. Booked Uber cab, was awaiting for me a few distance away from there. 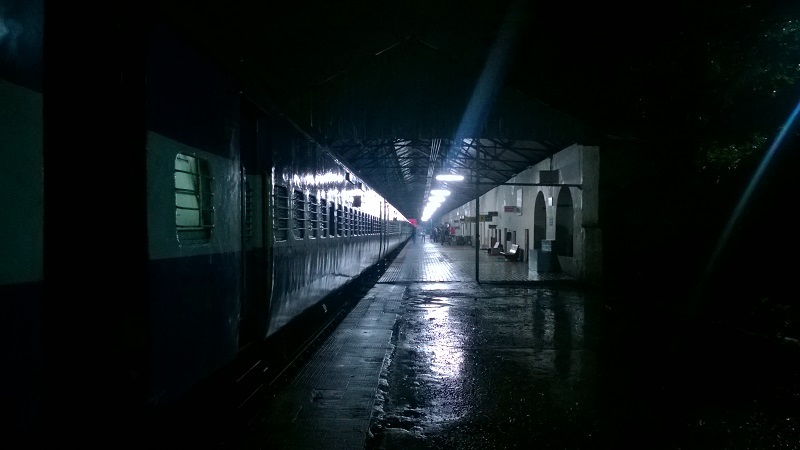 I reached the Pune station quite on time to catch my train ,Goa Express to reach Kulem station, Goa. 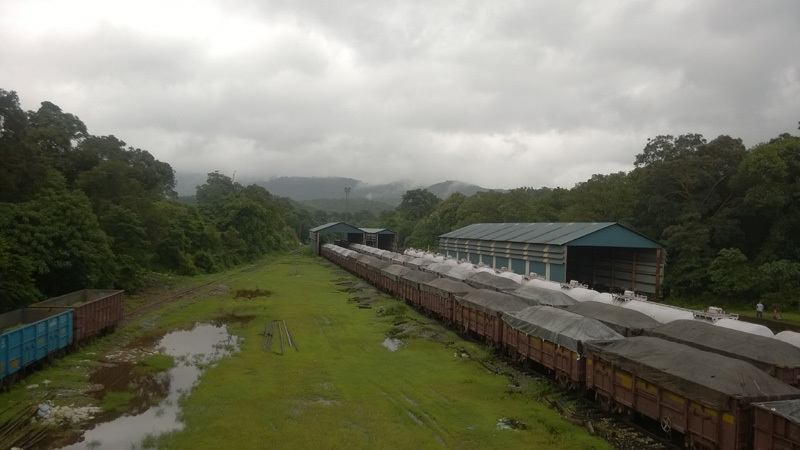 The train was to leave at around 16.45 hours .The plan was to first reach Kulem station and then trek on the railway track to reach Dudhsagar station. I am very sure by now your mind must have twinkled and must have already guessed it right . Yes !!! 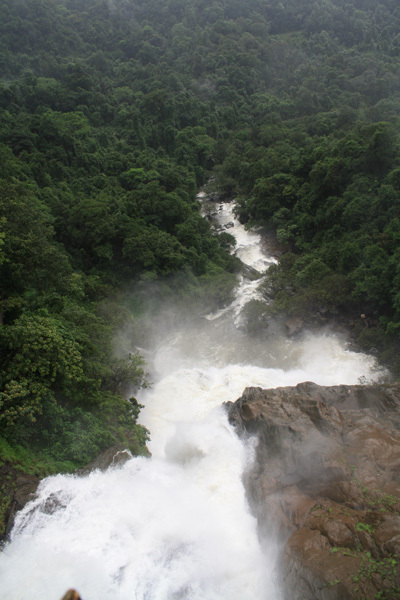 I was off for trekking , to the majestic Dudhsagar waterfalls. And this is my trek log. 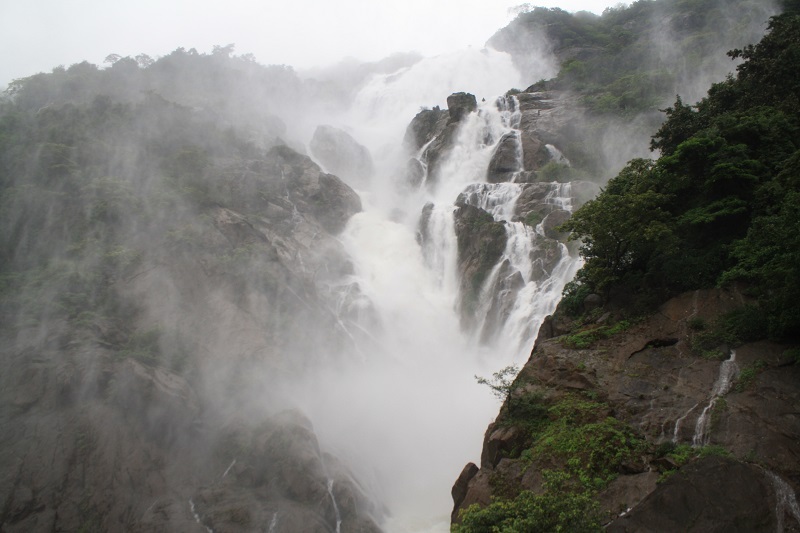 Dudhsagar waterfall or Vajra Sakala Falls(local name) is a 1000 fts high ,four-tiered waterfall located on the Mandovi River ,on the borders of Goa and Karnataka states. This waterfall and its lower regions comes under the protected ranges of Bhagwan Mahavir Wildlife Sanctuary and Mollem national park .So entry is quite regularized. 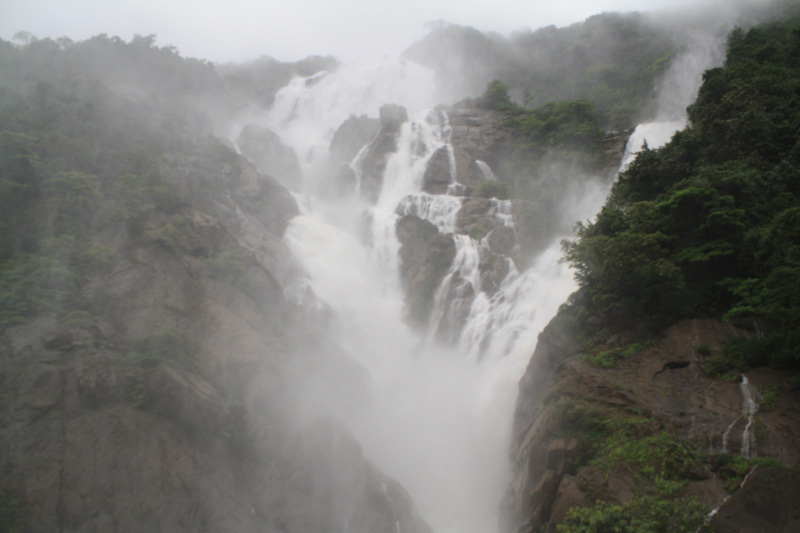 Coming to describing the beauty of Dudhsagar waterfalls ,if it is viewed from a distance it appears as if milk is falling from the hill ,something which makes it’s name quite appropriate ‘Sea of milk’. This majestic beauty could only be accessed either from Karnataka side i.e via Castle Rock station or from the Kulem station, Goa side. 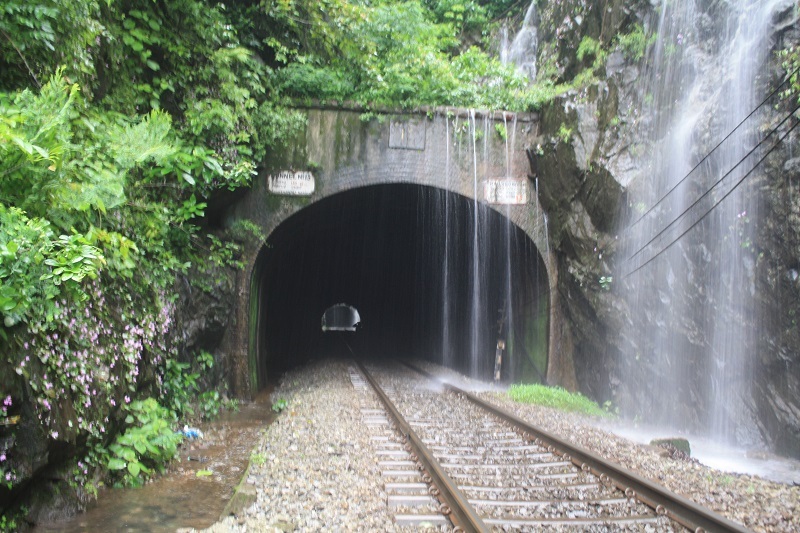 The nearest ,easiest and the most popular of the both ,is the trek trail on the railway track lines from the Kulem station, Goa side. The train journey was long so I decided to take a quick nap. 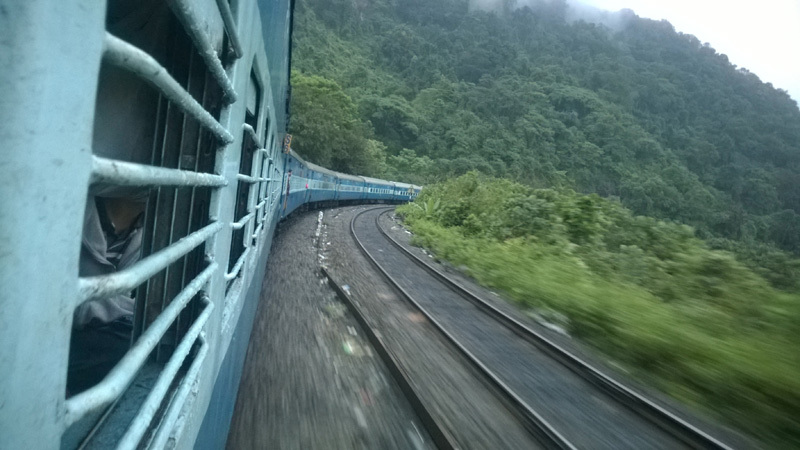 It was 5 am in the morning and my train crossed the Dudhsagar waterfall some 15 minutes ago. 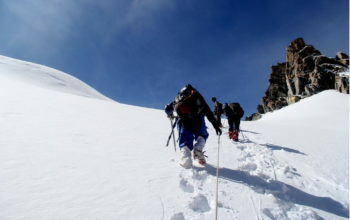 I calculated, it would not take me more than an hour to reach Kulem station from here. I was happily sipping tea ,when suddenly my train screeched to an absolute halt just after 6-7 kms of crossing Dudhsagar waterfalls. I do not know why my brain’s synapses flicked and a thought ran throw it .Next moment I zapped my way to the train bogey’s exit door. In that myriad ,the hot tea that I was enjoying happened to have spilled on to an old man. 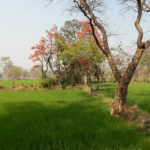 While he was still cursing me with some of the most popular hindi cuss slangs ,I got down the train and precariously took a stance beside an tree log not far away from the single laned railway track. As soon as I alighted, the train caught speed and passed in a jiffy. Phew ! that was close. The hike was quite easy-peasy. Our damped voice was only piercing the otherwise quite forest on our sides. 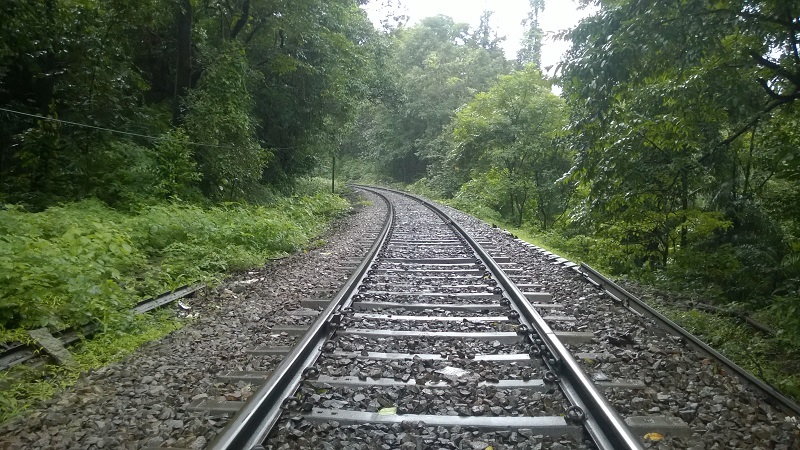 Walking on the railway track bounded by thick forest on both sides was an experience on its own. An occasional drizzle and cold gust of wind sent a cold shiver down the spine. All my cloths were now totally wet. Could feel the tinging sensation of the cold rain water, dripping through my inner leg area. We reached the Dudhsagar waterfalls viewpoint in another hour or so. As told, from a distance the waterfall appeared as if someone is really throwing down milk, off the hill. So surreal and an absolutely awesome, out of the world feeling !! We headed some distance ahead, crossed three more tunnels to reach the end of our hike, the bridge overlooking the waterfalls. To our surprise there were around 40 people ,already present. “We were not the only one here”. For the next hour or so I felt like a Monkey with a Camera. Sometimes I clicked a long shots, then sometimes I tried pulling a panoramic pic. It went on and on with varying camera angles. 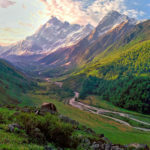 So much of amazing vistas to capture all around, I longed to capture everything in front of me in a single huge frame. Damn ! my basic DSLR camera model. It felt like, my photography skills were getting restricted because of it. I managed to shot a small video with my mobile phone which too could not satisfy me with its quality. It was raining and I was drenched to the skin. Only my DSLR camera and my mobile phone had the super luxury to remain waterproof ,safely tucked inside a thin veil of plastic bag. 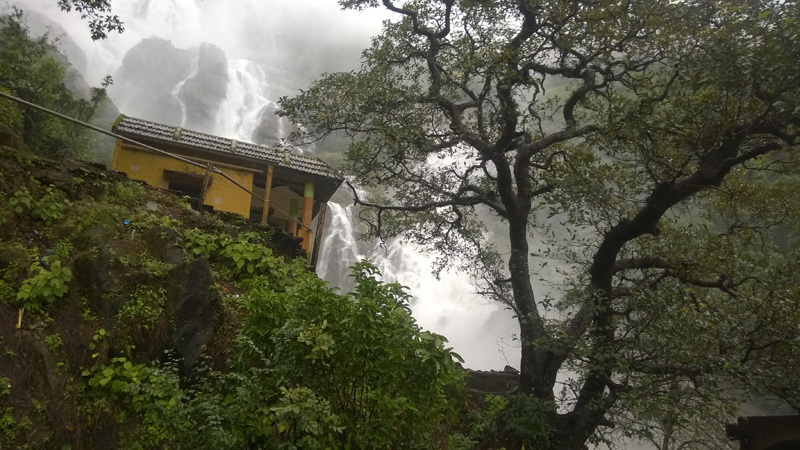 Wished I had at least a better ‘waterproof’ camera with which I would definitely had few more chances to capture the ethereal beauty of the maiden named Dudhsagar Waterfalls. Hitchhiking on a train loco bogey. All in all a nice trip where again nothing was planned and turned out good. With a heavy heart ,we started our detour back toward Kulem station. 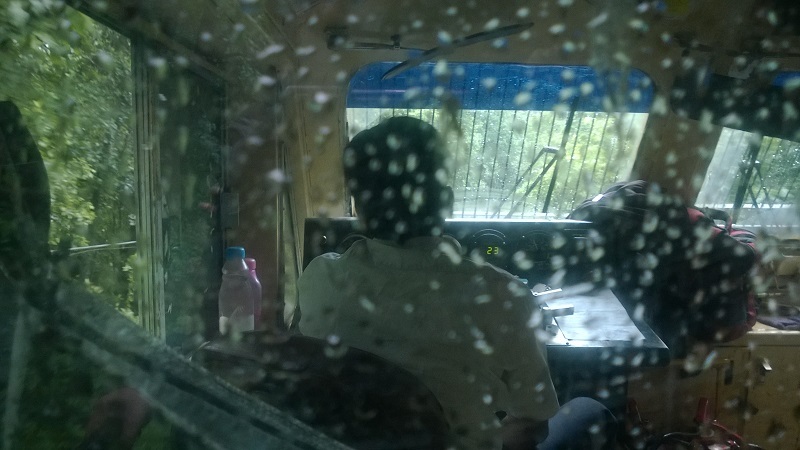 On way back how we managed to convince a goods train’s loco pilot and hitchhiked on it. Thereafter, the story of harassment faced on the hand of railway police ,all in the name of some Victorian era rules that we broke ,just to extort some quick and easy money, is an another story, for some other time. 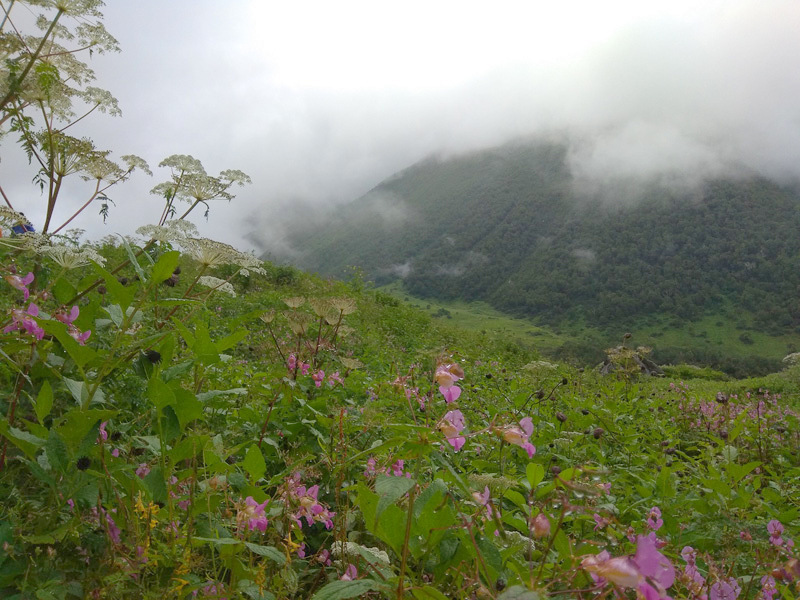 Till that time that’s All folks and Happy trekking !! 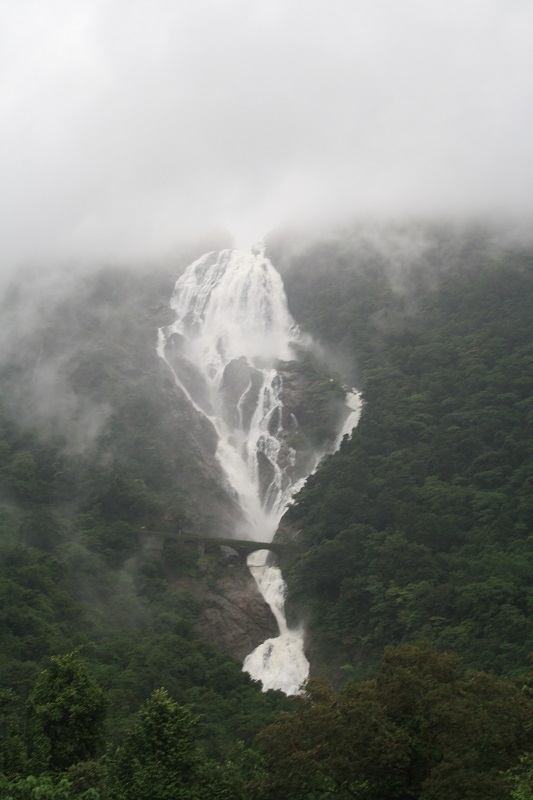 The month of June (just after onset of monsoons) till end of September are the best time to visit Dudhsagar falls. 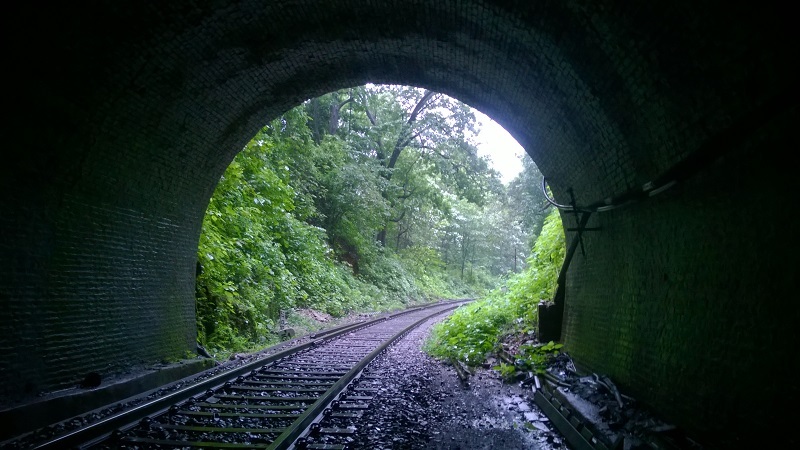 Drive to Caste Rock station.Hitch a ride in one of the goods train to the falls. Visit falls and then hitch a ride back in another goods train to Kulem. Take any regular train back to Castle Rock. Drive to Kulem station. 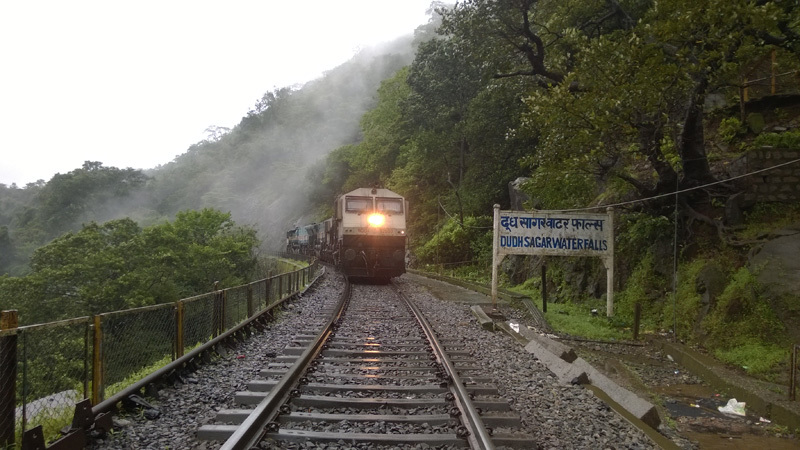 Catch any of the two daily trains stopping at Dudhsagar on the way up. To Note All train stops hardly for a minute in the Dudhsagar station. 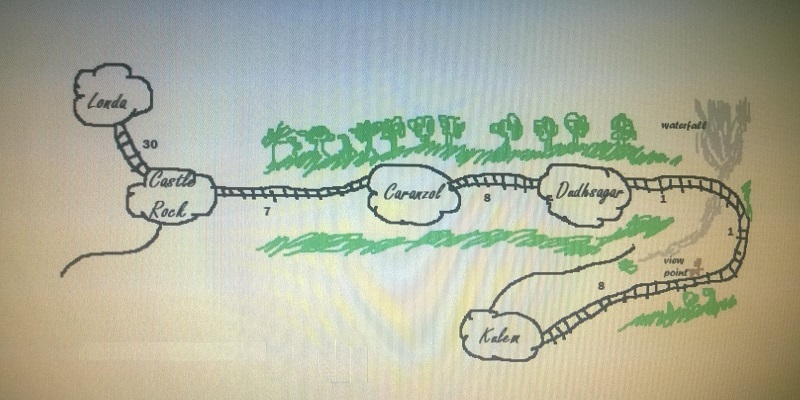 For return there’s a train at 1100 hrs which can taken to reach Kulem Station. Reach Castle Rock station via railways. 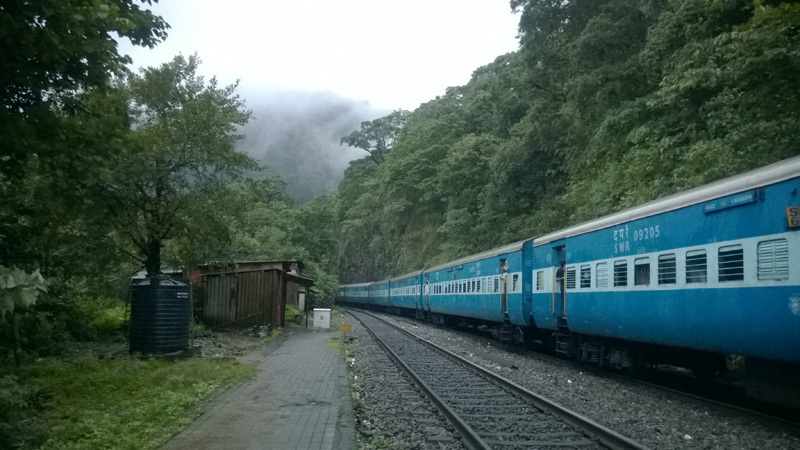 From there hitch hitchback on a local goods train to reach Dudhsagar falls . To return back hitch back on one of the goods trains or if lucky to reach Kulem station. Just keep in mind the frequency of goods train is quite erratic and there’s a 50-50 chance of goods train driver agreeing to give you a lift. So better be prepared for any eventualities. 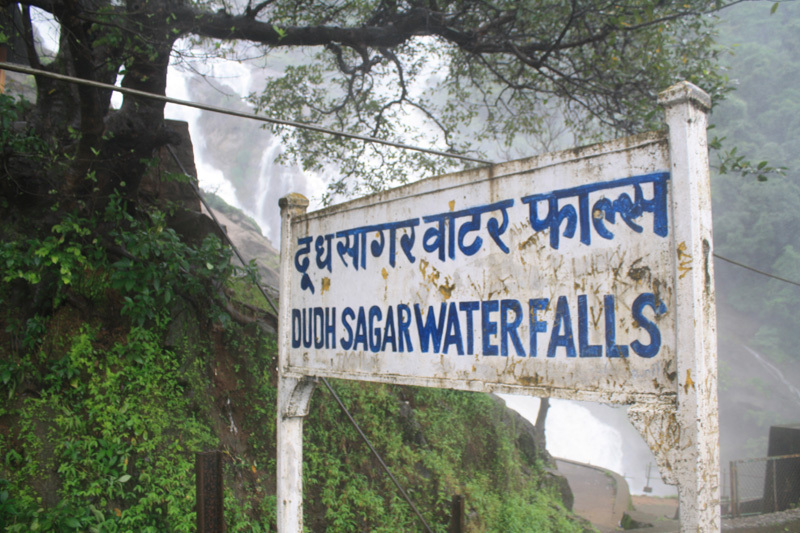 *To let my readers know currently Dudhsagar Trek has been banned till further notice. 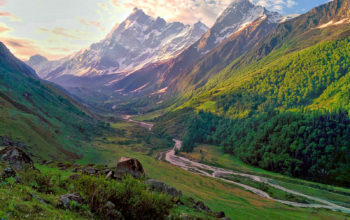 So people planning for Dudhsagar trek in 2018 need to acquire local info on the trek .